Not all bears like honey, but not all bears are BEARENSTEIN. Part bear, part Frankenstein(‘s monster), Bearenstein will stop at nothing for a small smackerel of honey. It was suggested that maybe Bearenstein should be stealing a picnic basket in the last panel instead of honey. My response follows: Winnie the Pooh > Yogi Bear. 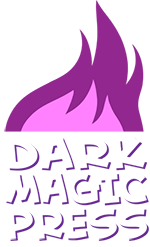 This entry was posted on Monday, March 25th, 2013 at 12:00 am and is filed under Comics. You can follow any responses to this entry through the RSS 2.0 feed. Both comments and pings are currently closed. one of his friends, im sure. we are probably one of the last people to see these things. [write a long comment. realize most of it has nothing to do with comic. Delete everything! write something completely different. is it stupid? Y/N? N=leave it, giving them obvious information is a good idea. Y=delete everything and put in a bad joke/pun or just something crazy.] and that is how you(i) write a comment. 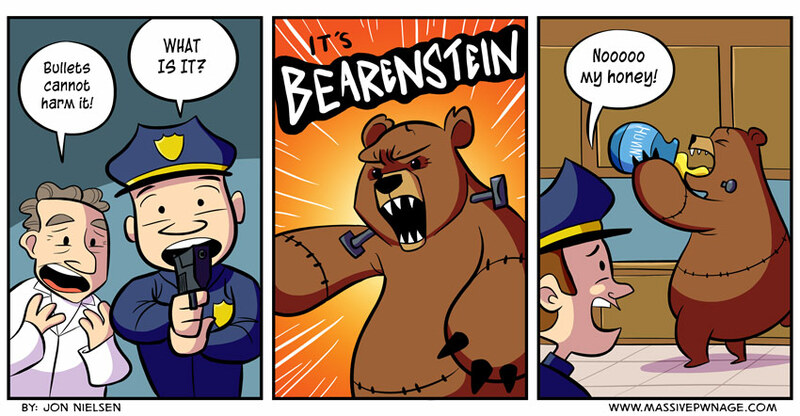 I thought Bearenstein was a member of a happy bear family who learned an important lesson… oh, sorry, that’s Berenstain. Best random comic in a long time. Wasn’t there a series of kid’s books called the Bearenstein Bears? Yeah, The Berenstain Bears, but it’s spelled differently and isn’t about horrifying monstrosities. Or maybe it is. All a matter of perspective I guess.